I spent some time this weekend taking macro shots. I have so many critter shots, time to change things up. I thought the above photo came out pretty good without any editing. Not great but something about it makes me feel good. Maybe it's the color yellow. Such a happy color! I also trespassed this weekend. A place that still holds beauty. Remnants of a life past. Hope the weekend was good to you! Okay, maybe one critter shot. Love you photos, Reena! Love the intensity of the colors, the look back into the past with the abandoned barn! Yes! How could you not photograph it?? Superb! Hope you have a wonderful week! LOVE the interior shots! i don't want to encourage this type of activity though, 'cuz i can't afford to bail you out of jail. Very nice. 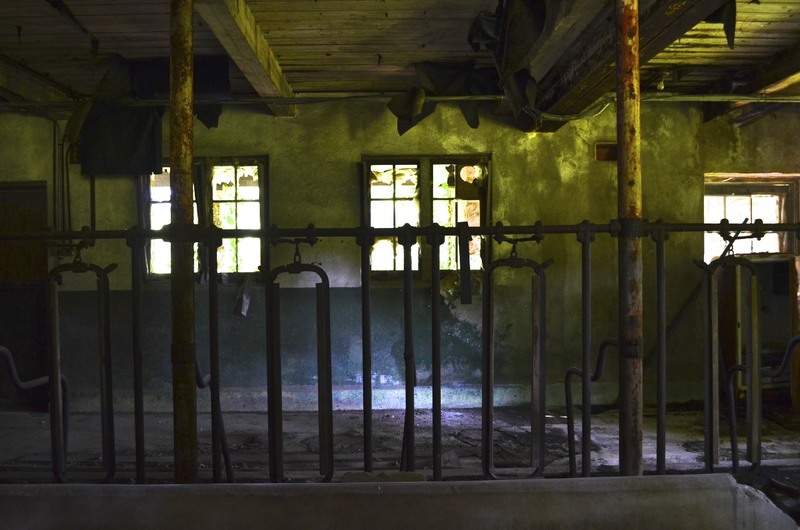 A treat to see the inside (and the outside) of an old dairy farm. Great pictures. Including the softened yellow flower and lovely little bird. Ooohhh treading dangerously to get the shot, very NatGeo. Love it!!! I have been so lazy, didn't take one pic all weekend, I have to find another picture a day project to join. tucked away inside that old barn. Like the old barn shots. Beautiful old barn. Sad to see it not being taken care of. oh, don't be getting arrested, now! but those are great shots. loved the yellow start and the yellow finish! Wonderful barn shots, in and out. 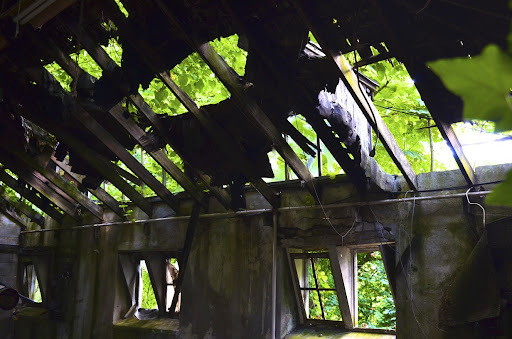 I love this abandoned barn - it'd make for great portraits! 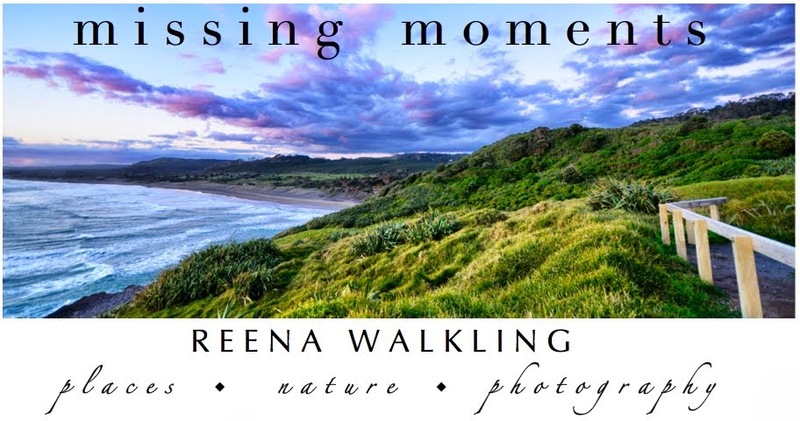 What wonderful photographs these are Reena! I just love the yellow flower. 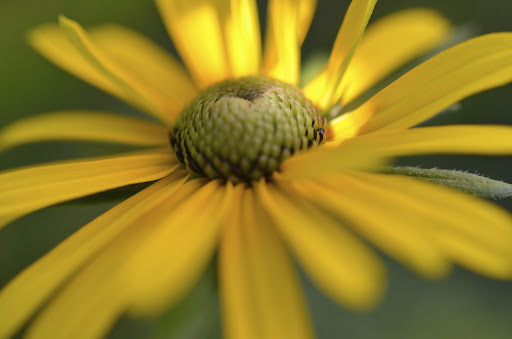 Yellow just makes me feel sunny, and I love the wonderful softness of this one. Thank you so much for sharing all of these today at The Creative Exchange. I LOVE your barn shots! They are wonderful. I agree yellow is such a happy color! So glad you trespassed. Those barn shots are fabulous. Looks like a fun place to explore. Nice! Sometimes it pays off to trespass a little tiny bit. :-) Until you hear sirens... then RUN!! Oooo, love the barn-beautiful and I can see why you couldn't resist the inside either. Beauties! Just BeAuTiFuL for the Creative Exchange!! Yes, the yellow daisy(?) 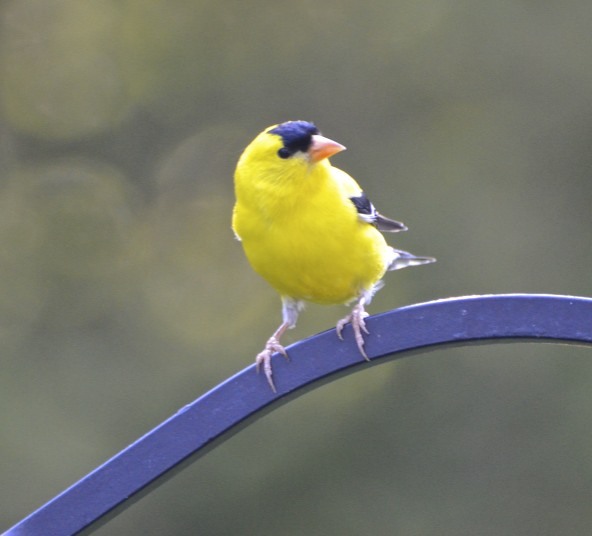 is a happy image...as is the vibrant goldfinch! And the barn is a fabulous place of past usefulness. Dairy stanchions...I haven't seen them in so many years. Always something haunting about derelict buildings. The gold flower was a stunner. Your photos are the greatest! I grew up where there are many old houses and barn from long ago.When I enter them I feel like the souls of the people who dwelled there still linger. Your photos are beautiful! The flower, the barn and the birdie - gorgeous. Thank you! All lovely photos, but I especially like the flower :-) It looks so bright and sunny. WOW - Love that barn and the flower is beautiful. The color is just stunning! Great barn! I'd love to stumble upon that! Love your interior shots. The macro shot is wonderful. Love the interior of the barn. Worth a little trespassing, I say. Thank you for visiting and becoming my latest follower. I love your macro shot and that cute little bird. 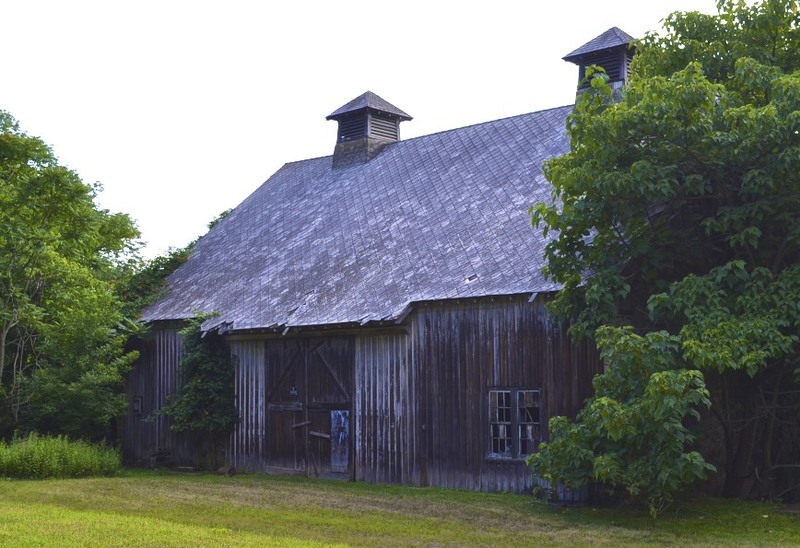 That old barn is quite a find, it has so much character. I would have trespassed a little bit too! Great shots! love to see an old tystallbarn! Great photos, especially that old barn ~ what a great place to take photos! Bright, happy yellow flower; dark, decaying barn; and a critter! You've covered it all! Great photos! You submitted it to Barn Charm! Thank you thank you! I sometimes get overly excited when it comes to Barn Charm, but I just can't help myself. Macros are so fun to take and yes, the yellow is uplifting! My favorite is the last barn interior shot. That one is wonderful in it's captured mood and light!!! I love the barn shots, especially from the inside looking out. The flower is so happy. Itʻs like a droplet fell from on high and splashed sunshine from the center out. The barn is simply wonderful. Think of all the activity it saw back in the day. Iʻll bet you almost hear the history of it while you were there.